The New York Times reports 11/23/18 that U.S. talks with the Kingdom of Saudi Arabia (KSA) remain stalemated over the issue of domestic enrichment of uranium to make nuclear fuel. Nonproliferation experts are cited in the newspaper’s report saying that KSA could not build this capability without outside help perhaps from Pakistan. The newspaper has an odd note that there is a potential deal for commercial reactors with Westinghouse licensed to South Korea, but a quick look at the source shows it is based on a 2013 report by WNA that has long since been overtaken by events. In any case it is not plausible that South Korea would give up export earnings for a KSA deal that involved Westinghouse. It is doubtful that KSA could build today even two full size nuclear reactors much another 14 of them over the next two-to-three decades. The logistical challenges for supply chain, having a skilled workforce, and paying for it all exceed KSA’s capabilities to go it alone. It is going to need substantial help from other nations. KSA officials tell the NYT that it intends to match Iran’s nuclear capabilities, if necessary, on a centrifuge-by-centrifuge basis and has rejected the U.S. demand in the negotiations to allow nuclear inspectors to look at any facility that might contain such equipment. The problem for KSA is that is has no such fuel cycle facilities. 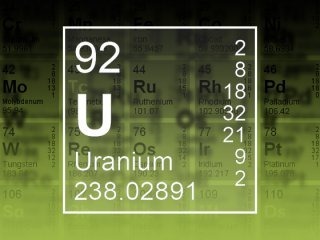 Despite having abundant deposits of uranium ore, the country has no uranium mill to make yellowcake, no conversion plant to make UF6, no enrichment facilities, and no fuel fabrication plant to make fuel assemblies for commercial reactors. The cost of all of these fuel cycle facilities would be, at a minimum, in the range of $5-10 billion and take at least 3-5 years to build. It would be a lot cheaper for KSA to just buy the commercial nuclear fuel from firms that make it like Urenco rather than go all this effort and expense hence the view of nonproliferation experts that KSA’s demand for domestic enrichment is based on a desire for nuclear weapons. The impact on oil revenues intended for the domestic budget might be a stumbling block especially if the price of oil stays low. The NYT indicates that KSA could get help from Pakistan not only for uranium enrichment capabilities, but also for the technical know how to make bombs. The problem for Pakistan is that such actions could make it a target for Iran’s medium range ballistic missiles. Even the threat of such a move might thwart a move by Pakistan to help KSA. What it comes down to is that KSA has dug in its heels on the issue of domestic uranium enrichment and in doing so creates a real threat of being able to move quickly to making bomb material. It becomes a barrier for any progress on a 123 Agreement similar to the one the U.S. has with the United Arab Emirates which bans uranium enrichment and spent fuel reprocessing. The NYT quotes William Tobey, a senior official in the Energy Department during the Bush administration who has testified about the risks of the agreement with Saudi Arabia. “We have never before contemplated, let alone concluded, a nuclear cooperation agreement with a country that was threatening to leave the nonproliferation treaty, even provisionally,” he said. The NYT also creates a bridge of sorts between the failed, and tragically comical efforts of now disgraced National Security Adviser Michael Flynn who sought to craft a nuclear deal with KSA involving Russia and the lifting of U.S. trade sanctions on that country and current negotiations lead by the Department of Energy and the State Department. Flynn’s hair brained plan, launched in April 2015, never had a chance to get off the ground due to the fact that the plummeting price of oil in January of that year put the entire KSA nuclear plan on ice. Aaron David Miller, and others point out that neither KSA nor the Trump administration can be trusted to comply with a 123 agreement, even if we had one, “Gold Standard” or not given the awful situation we now have with Kashoggi’s murder and Trump giving MBS a “pass” on it. U.S. Secretary of State Mike Pompeo told Congress last May the gold standard for a 123 agreement would be U.S. policy, but given pattern of Trump disregarding advice from his cabinet, and intelligence agencies, where does that leave us? Plus, there are multiple reports in the U.S. news media, including a recent analysis by the Bloomberg wire service, that detail the extensive financial deals Donald Trump, and his son-in-law Jared Kushner, have with KSA for U.S. real estate investments. In short, KSA has strong financial leverage over the president, and his family, that its ruthless and inexperienced ruler, Crown Prince Mohammed bin Salman of Saudi Arabia, AKA “MBS”, wouldn’t hesitate to use it if needs be. He’s clearly demonstrated his disregard for international norms in the murder of Jamal Kashoggi in the KSA embassy in Istanbul. His leverage over the Trump administration is demonstrated by the President’s refusal to accept the intelligence reports he’s received about the ghastly event. A 123 Agreement with KSA, inked in this environment, with watered down rules, would likely be useless in constraining the nuclear ambitions of that country. Congress should reject one that doesn’t uphold the “gold standard” and should impose additional oversight conditions as prerequisite conditions, e.g., unrestricted inspections, with clear consequences for violations or noncompliance. If U.S. 123 agreement negotiations with KSA fail, my view is that it is doubtful any current nuclear weapons capable state would want to create another one by providing technology that would achieve that outcome. It’s a very exclusive club and everyone in it wants to keep it that way. It is one of the reasons there are four other nuclear weapons capable countries that signed on to the Iran nuclear deal. That concept might be the only thing that stands in the way of KSA getting its own nuclear weapons capability. What sense does it make for the South Koreans to supply reactors to KSA without a gold standard commitment in place on their end? The answer is none. South Korea would be governed by its 123 agreement with the US if it sourced Westinghouse AP1000 reactors to be built under license in KSA. Also, South Korea has no commercial reason to partner with Westinghouse as it has it’s own 1400 MW PWR for export and is building 4 of them in the UAE. South Korea has a mature supply chain in place for this design and would undoubtedly like to keep it’s domestic industries, and workforce, fully employed and humming along with fabrication of parts for its design, and not one from a US firm. South Korea also has a long-standing development agreement with KSA to build 100 MW small modular reactors for placement at coastal sites to power desalinization plants. KSA can kick the tires on one of the S. Korean units anytime it wants next door in the UAE plus Westinghouse has the overhang of the failed V C Summer project in US dragging down the brand relative to its success in China. There the first two of four AP1000s under construction have been commissioned and are in revenue service on the grid. Westinghouse is unlikely to win business supplying nuclear reactors to Saudi Arabia even if the Trump administration relaxes the terms of a 123 Agreement. As noted above the reasons are that South Korea has the pole position due to several factors including; success with building four 1400 MW reactors for the UAE at a fixed price, an experienced workforce with a management team that speaks Arabic, and the fact that the 1400 MW design has already been built and operated in South Korea. Note that South Korea would have to certify to the US that any full size, e.g., 1400 MW, light water reactors it proposed to supply to KSA would not have any US technology in them. That’s a tall order and a licensing deal with Westinghouse is not a viable strategy since it doesn’t obviate the terms of the South Korean 123 agreement with the US. Further, copying but not licensing, the Westinghouse technology (AP1000 design) would likely lead to protracted litigation and no deals. Is it possible the NYT report is not correct? I have not seen anything elsewhere to corroborate it. The NYT report appears to be based on a 2013 note posted by the World Nuclear Association which has long since been overtaken by events. According to several sources this blog talked to over the Thanksgiving holiday, South Korea has said in the past, several times, that they could seek to deliver APR1400 reactors to KSA that did not have US content (and did not require 123 Agreement). They would call this the APR+ design. It would involve efforts by Korean companies to replicate components supplied by Westinghouse to build the APR1400s under construction in the UAE, but without a licensing agreement which is what South Korea does have with Westinghouse for the UAE work. Note that the UAE got its 123 agreement with the US in part to enable it to acquire this technology from Westinghouse and these components. Two problems come with with approach. First, it is theft of intellectual property, e.g., no licensing agreement, which Westinghouse would surely seek to stop. Second, it’s still US technology and, as I understand it, can’t be transferred by South Korea to a nation that doesn’t have a 123 agreement regardless of whether there is a licensing agreement or not. Would South Korea violate the terms of its 123 Agreement? My surmise, and that’s all it is, would be that South Korea would not deliberately violate the terms of its 123 Agreement with the US. The logic behind that surmise is that it would not want to add another item of contention with North Korea. Further, while DRNK seems to take one step forward, one back, cooler heads have prevailed and DRNK has not conducted any further underground nuclear tests nor missile launches since Trump met with Kim. South Korea would prefer to see incremental change on the peninsula over time so abiding by the terms of the 123 agreement might be seen as a confidence builder for relations with DRNK. Also, the new 123 agreement that South Korea has with the US opens the door for South Korea to investigate development of fast reactors that involve reprocessed spent nuclear fuel. The US hasn’t yet given the OK yet to this work, but it is something that South Korea wants. It won’t get it if the country’s leadership gets caught with a violation of the 123 agreement. A mitigating factor is that the current political leadership in South Korea is at loggerheads with the country’s nuclear industry over new domestic builds but not, apparently, over export deals. Even so it agreed last year to restart construction of two new reactors (Reuters). In a long and detailed review of the IAEA requirements for inspections, Mark Hibbs, a nuclear energy expert at the Carnegie Endowment for International Peace, writes at the Arms Control Wonk on 11/27/18 that the efforts of members of the so-called short list qualified to provide reactors to KSA would hit a brick wall without the inspections protocols in place. Meanwhile, South Korea isn’t waiting around for KSA to make up its mind about how to comply, or not, with IAEA requirements. South Korean President Moon Jae-in plans to ask Czech Republic Prime Minister Andrej Babis to support South Korea’s bid to construct a nuclear power plant in the central European country. 10/31/18 – According to the Associated Press five Republican senators told President Trump on 10/31/18 to suspend negotiations with Saudi Arabia for the transfer of commercial nuclear power technologies due the growing anger in Congress over the murder of Washington Post columnist Jamal Khashoggi. The senators warned in a letter that they would work to block an agreement from securing congressional approval if the administration pushes ahead with a 123 Agreement with KSA especially if it waters down the “gold standard” included in a similar agreement with the UAE. That bilateral document prohibits the UAE from undertaking uranium enrichment or spent fuel reprocessing. The letter was signed by Sens. Marco Rubio, FL; Cory Gardner, CO; Rand Paul, KY; Todd Young, IN; and Dean Heller, NV. The Senate Foreign Relations Committee in July approved a nonbinding resolution saying that any U.S.-Saudi nuclear agreement must make clear that it would prevent a civilian nuclear energy program from becoming a gateway to nuclear weapons development. The Washington Post reports that the senators point out that KSA has not agreed in its negotiations with the U.S. over the 123 agreement to adopt the gold standard. Also, they noted that had previously expressed concerns that any transfer of nuclear technologies, even for civilian use, might lead to a weapons program. The opposition in Congress to a 123 Agreement with KSA may not matter as South Korea has a better chance of getting the business based on their work building four reactors in the UAE and a long-standing contract with KSA to develop SMRs for sea water desalinization. 10/18/18: With the media revelations of the horrific death of Washington Post writer Jamal Khashoggi that took place inside the Saudi embassy in Istanbul, KSA can probably forget about any chance Congress would approve a 123 Agreement for US exports of nuclear technology to that country. While the President is dissembling over accountability for KSA’s leadership, Congress is running hot in its reactions to the crisis. 09/29/18: DOE Energy Secretary Perry, the public face of the U.S. negotiating team engaged in talks with counterparts from KSA, is having a tough time getting to yes. Efforts to craft a 1123 Agreement that upholds the “gold standard” set by an bilateral arrangement with the UAE, and emphasized by U.S. Secretary of State Mike Pompeo, have gone nowhere. Short List – Reuters reported on 7/1/18 that KSA short listed five countries as bidders for its planned development of nuclear energy power stations. State-run utility Korea Electric Power Corp (KEPCO) had been shortlisted to bid for a nuclear project in Saudi Arabia along with the United States, France, China and Russia, South Korea’s energy ministry said according to the wire service. The statement said the winner of the tender was expected to be chosen in 2019. Note that this statement about “short listing” is essentially meaningless since it comprises all of the bidders. Israel Sets Red Lines – The news wire Axios reported on 7/8/18 that Israel presented U.S. with “red lines” for Saudi nuclear deal. Israel’s demands may become irrelevant if, as predicted by this blog, Bloomberg, and others, that South Korea has the pole position and will not need any approval from the US for sale of its 100 MW SMART SMR to KSA. A senior Israeli official told Axios the Israeli government realized it will not be able to stop the deal and has decided instead to attempt to reach an understanding with the Trump administration regarding the parameters of the deal. This assumes that the US is part of the KSA nuclear deal in the first place, which is in no way guaranteed. According to the Axios report, last March, Israeli Prime Minister Benjamin Netanyahu raised concerns about KSA’s demand for a “right” to enrich uranium, which he felt will lead to further nuclear proliferation in the Middle East. Yuval Steinitz, Israel’s energy minister came to Washington in mid-June to meet with Energy Secretary Rick Perry. Axios reports that Steinitz told Perry and other senior U.S. officials, presumably some from the State Dept, that Israel asked the U.S. for a “no surprises policy” regarding the negotiations with the Saudis to ensure maximum transparency. The US may itself get surprised given its blind spot about the potential for being shut out of the deal for all but some of the non-nuclear component sales. There is also a problem for Westinghouse as it emerges from its bankruptcy proceedings. The Canadian equity fund that purchased Westinghouse in January 2018 for $4.6 billion, Brookfield, has as one of its largest sources of cash the Qatar Industrial Authority which has a 7% stake in the firm. So the question is whether KSA, which is hard over in its posture towards Qatar, would do business with a US nuclear firm that is backed financially by that country. Note that a large US trade delegation went to KSA in April 2018 to make a pitch for the nuclear business. Brookfield disclosed the financial relationship with Qatar in a March 2018 filing to the SEC. Israel asked to know in advance what nuclear equipment the U.S. would sell the Saudis and asked to be consulted about the planned location of the nuclear reactors the U.S. would build in Saudi Arabia. From KSA’s perspective, any geographic coordinates are the basis for an Israeli bombing raid if the nuclear program shifts gears from commercial power to nuclear weapons. Note that Israel bombed a Syrian nuclear reactor in September 2007 that was making plutonium for nuclear bombs. Israel demanded that the deal will not give Saudi Arabia the capability or the legitimacy to enrich uranium on its soil. The Saudis want to get American permission to enrich uranium as part of the deal. From KSA’s perspective, much hinges on hows Iran deals with President Trump’s decision to cancel the US commitment to the Iran nuclear deal. Currently, Iran is negotiating with other parties to the agreement to try to keep it in place and to get compensation for US sanctions. Israel demanded that the U.S. will be the only nation to supply the Saudis with the nuclear fuel for its reactors. The US may not have any leverage in this regard if the reactors come from South Korea, France, or China. Israel demanded that the U.S. must remove all used nuclear fuel from Saudi Arabia so that the Saudis will not be able to reprocess it. Ditto. Axios reports that Perry told Steinitz the U.S. will discuss the “red lines” request during Perry’s planned visit to Israel next October. On May 24 US Secretary of State Mike Pompeo said Saudis must not enrich uranium if it seeks civilian nuclear cooperation. The Washington Post reported that Pompeo said that the Trump administration is insisting that Saudi Arabia accept the same limits on uranium enrichment and spent-fuel reprocessing as other Middle East nations seeking commercial nuclear energy deals with U.S. companies. The United Arab Emirates has such a 123 Agreement with the US and is building four 1400 MW PWR type commercial nuclear reactors at a Persian Gulf coastal site which are supplied by a consortium of South Korean firms. The Post reports that Pompeo’s comments came in testimony before the Senate Foreign Relations Committee. It is the first clear and unambiguous Trump administration statement of policy on the issue of nuclear cooperation with the Kingdom of Saudi Arabia (KSA), which has been meeting with lawmakers, administration officials and nonproliferation experts for the past several months. KSA has been seeking to soften the US position, but Pompeo’s statement may have put an end to these efforts. Saudi Arabia has said it wants to build two nuclear reactors to reduce the use of oil used domestically to generate electricity and to desalinate sea water. It has reviewed plans from five international groups, including a consortium led by Westinghouse, which is now in bankruptcy, and Bechtel. The kingdom had said that it would choose one by the end of March 2019. As a practical matter, it is more likely that KSA will proceed with plans to build one or more small modular reactors (SMRs) supplied by South Korea. See details on this design below. See on this blog A Reader on Saudi Arabia’s Nuclear Energy Plans Seven easy pieces on various aspects of KSA’s nuclear plans going back to 2014. For a discussion of the role of the Nuclear Suppliers Group (NSG) in limiting the transfer of uranium enrichment technology, see the analysis by Mark Hibbs at the Carnegie Endowment for International Peace. Hibbs notes the the NSG is considering adding Pakistan, which could otherwise be a supplier to KSA, and India as members to bring them into the fold. For a general review of Saudi Arabia’s Nuclear Ambitions and Proliferation Risks, see this multi-author review at the Institute for Science and International Security. It includes a summary of improvements in domestic capabilities including workforce training. The following is an anonymous comment submitted in response to this article. South Korea has said in the past that they would seek to deliver APR1400 reactors to KSA that did not have US content (and did not require 123 Agreement). They call this the APR+ design. It involves efforts by Korean companies to replicate components supplied by Westinghouse to build the APR1400s under construction in the UAE, but without a licensing agreement which is what South Korea does have with Westinghouse for the UAE work. Note that the UAE got its 123 agreement with the US in part to enable it to acquire this technology and these components. Two problems come with with approach. First, it is theft of intellectual property, e.g., no licensing agreement, which Westinghouse would surely seek to stop. Second, it’s still US technology and can’t be transferred by South Korea to a nation that doesn’t have a 123 agreement regardless of whether there is a licensing agreement or not.